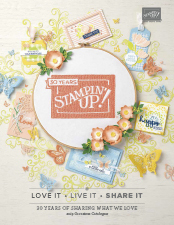 Yesterday I celebrated my 1st anniversary as a Stampin’ Up! demonstrator ~ happy anniversary to me! ~ so of course I had to make a card appropriate for this milestone and so I came up with this. I needed to get out my core’dinations card stock as I haven’t used it for some time. 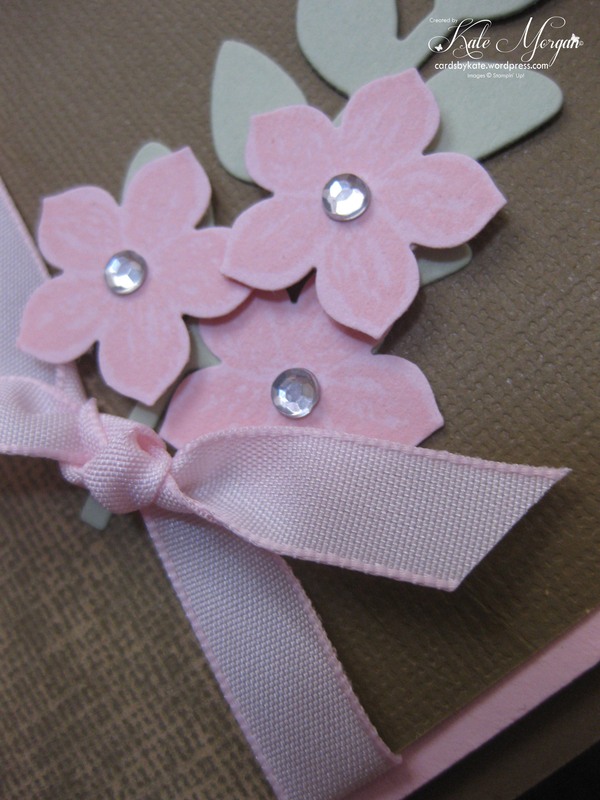 I love this soft suede card with pink pirouette! 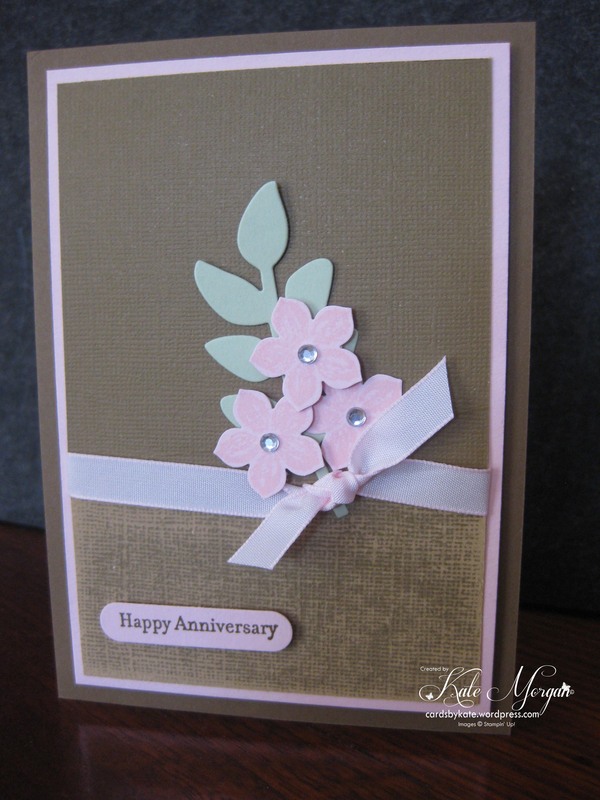 I sanded only the bottom third of the card before adding some pink ribbon, tied with a knot. The leaves are die cut from the Secret Garden Framelits in Pistachio Pudding and the flowers are stamped tone on tone in Pink Pirouette with the Petite Petals stamp set and coordinating punch. 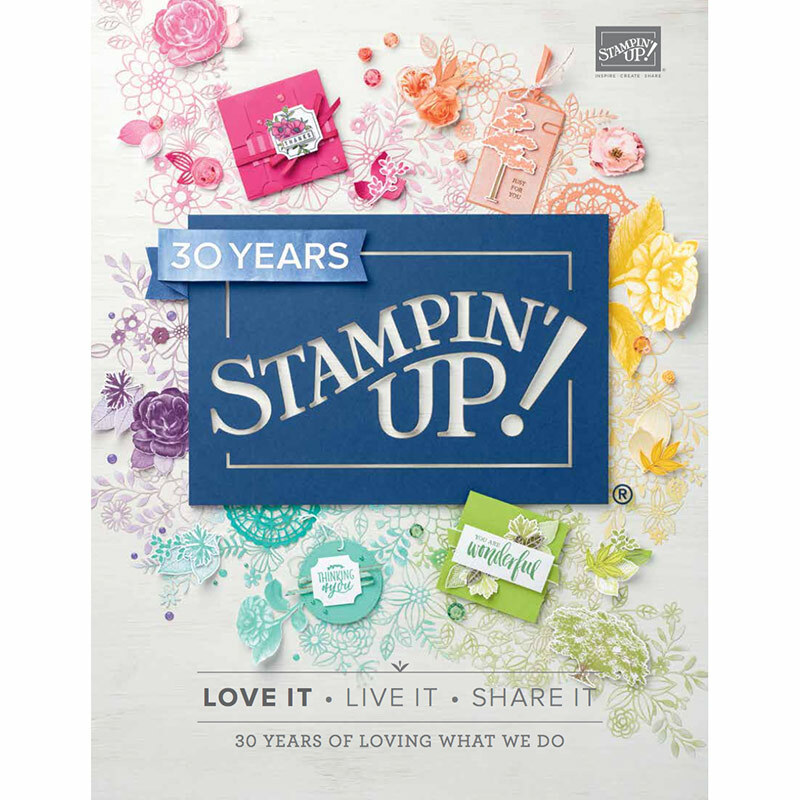 This stamp set and coordinating punch can be purchased together as a bundle to save you 15%. Petite Petals Bundle can be ordered in Wood ($39.75 ) or Clear mount ($34.75) and is great value! I added rhinestones to the centre of each flower, doesn’t it finish them off perfectly?!!! The sentiment is from Teeny Tiny Sentiments stamp set and punched out with Word Window Punch. Don’t forget today is the final day to place your orders before Sale-a-bration tonight! Any orders of $90+ can earn free product from the Sale-a-bration brochure (pgs 11-17). But if you place an order of $180+ you get to choose 2 free products!!! Be sure to check them out now! Don’t miss out! Tagged Core'dinations, Petite Petals, Sale-a-bration 2014, Stampin' Up!